The Meguiar’s Detroit Autorama is celebrating an impressive milestone in 2017, that milestone being 65 years of gathering the best cars North America has to offer. Even though we try to prepare ourselves beforehand, we still mange to be completely blown away by the quality of vehicles at this show. Especially the cars selected to compete for one of the most prestigious accolades in all of hot rodding, the Don Ridler Memorial Award. This is actually the second year Bobby and Hazel Collins have made a run at the Ridler trophy with this car. No … the rules didn’t change, Ridler worthy vehicles must be first shown at the Detroit Autorama, but the first time the truck made the trip to Detroit it never left the trailer. Damaged on trip one, thanks to a loose tie down strap, and extremely rough Michigan roads, the truck’s debut had to be pushed back a year to 2017. We’re happy to say the truck made the trip this year unscathed and is one of the most unique examples of an Advanced Design truck we’ve ever seen. The ample proportions of the truck are due to the C5 Corvette chassis that sits under it. The C5 is a considerably wider vehicle than a stock ’49 pick up so the cab was split into four pieces and widened five inches overall in order to fit. The windshield was converted to a one piece unit in the process and the three rear cab windows were modified so that they all are they same height creating a much more visually appealing rear view. The bed sides are fashioned from a ’55 Cadillac Eldorado and was heavily modified to fit the Heirloom. 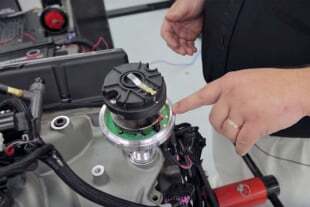 The LS engine that came with the chassis has been fit with a Magnuson supercharger and has been painted to match the truck’s unique color scheme. Kyle Hix camped out at Bobby’s house for a month to design, and build the interior which is wrapped in Relicate custom leather. Kyle, Bobby and everyone involved hope that this will be the first truck to win the Ridler. The Phoenix might be a legendary bird that rises from the ashes in folklore, but at Autorama this Phoenix is a ’28 Ford pick up built by owner Dennis Portka over a 24 year period. Styled to look as though it came straight out of the 60’s Dennis hand built and metal finished the body himself before spraying it in two-stage paint. The roof has been wrapped in red vinyl and all of the emblems, hood hinges, and door hinges were designed, built, and polished by Dennis. Inside Dennis used product originally designed for lining truck beds to create a durable matte finish. The chassis was again done by Dennis himself and the Chevy motor sends power through a 700R4 to Winters quick change rear end. Annapolis Maryland’s Ed Sears just raised the bar for 1941 Ford Trucks with ‘The Gold Standard’ built by One Off Rod and Custom. Gary, the owner of One Off is a color man and drew inspiration from Domino Brown Sugar banding for the trucks distinctive color scheme. Starting up front the 8BA Ford flathead that has been bored, stroked, cammed, and fit with Stromberg carbs before being ground smooth and painted brown. The cab has been lengthened, eight inches in total, and the top has been chopped one and a half inches up front, and one and three quarters in the rear. Didn’t notice that at first glance? Neither did we as we were too lost in the shimmering brown paint and immaculate chrome. When asked what their favorite part of the build was, the One Off employees responded by saying that this truck is the combination of small details and ideas that come together as one. We’d have to agree that every modification on this truck works well together and it’s not a truck that gives up it’s secrets on the first, second, or third glance. Another vehicle that doesn’t give away all it’s modifications at first glance is this C3 that looked almost factory from a far. This build is the result of 17 months of 17 hour days put in by the talented ten person crew at The Auto Shoppe. Originally just a collision shop, Vermont’s Auto Shoppe has become synonymous with incredible Corvette builds like the Split Ray. The Split Ray gets its name from the fact that it was split right down the middle before 6 and 3/8-inches of metal was added to the center of the car. The extra inches were necessary for the C2 body could fit over a Roadster shop chassis and EVO 19×11 and 20×12 wheels, without having to excessively flare the fenders. With a new chassis and the accompanying LS9 motor, a new interior was only fitting and for this build. The Auto Shoppe drew inspiration from the 2015 z06 creating a one off C2 interior that has the amenities of a c7. The Auto Shoppe actually built a slightly more streetable version of this car for Scott’s wife the previous year, and that planted the seed for this build. The second Corvette in this year’s Great 8 is this ’54 roadster was built as a homage to the GM Concept Corvette that was debuted at the ’54 Autorama. 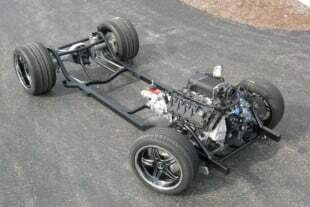 Built by Larry Griffey’s Hot Rods and Restorations the car now rides on a modified Jamison chassis and C4 suspension. 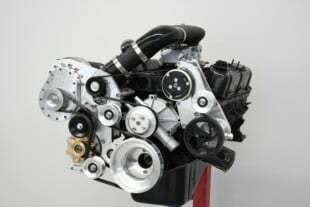 Powered by an LS1 the motor is currently backed by a 4L60E automatic transmission, however the car has been designed so that it could be quickly changed over to a 6 speed with minimal effort. Custom, six piston, Corvette red Baer brakes bring the car to a stop and look stunning behind 18×8 and 20×10 Billet specialties wheels. This Corvette has been body dropped, but not in the traditional sense. The rear has been dropped one inch, with one and a half inches taken out at the A-pillar, and two inches at the front fender, to give the car a killer rake and awesome stance. The interior was designed and crafted by Pro Interiors, and as you might expect, Larry Griffey’s Hot Rods took the liberty of powering the accessories wherever they could. Not just an endeavour in aesthetics the interior also now features a stronger internal structure than factory to better protect the occupants should any unfortunate incidents occur. Marcy and Buddy Jordan wanted their car to be one of a kind so they had Chris Ito and Steve Frisbie designed one from scratch. A bespoke creation built by Steve’s Auto Restoration, the car is hand built and CNC machined from aluminum steel and billet. The body is .063-inch 3003 aluminum sheet and the chassis was made from 3/16-inch plate with 1-1/2-inch chromoly tubing. The independent front and rear suspension is all custom CNC components machined by Steve’s Restorations. A performance anniversary edition 427 GM engine – number 29 to be exact – powers the car, and the entire rare engine was sanded smooth. The oil pan is CNC machined, as are the valve covers, and air cleaner. 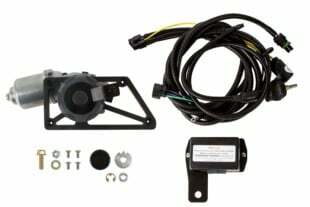 The water pump is belt-less and the engine works as it should, exhaling through a stainless steel exhaust. It is a major bonus that the powerplant looks like a piece of art. 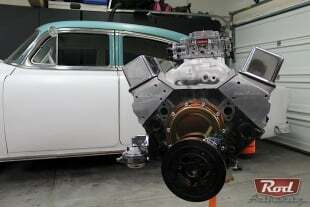 The 4L60 transmission behind the motor has also been ground smooth with a matching CNC’d pan to the oil pan and terminates through a Mustang third member. More custom CNC work and hand built parts are employed inside the car, and in the cars display are drawings illustrating just how many of the parts were in fact custom made. Off the shelf parts are few and far between on this car. Ted and Colleen Hubbar’ds 1930 Ford Model A might be called the “After Thought,” but it certainly doesn’t look like one. Cal Auto Creations was inspired by one very specific part that cast aluminum header shop owner Andy Leech spotted two years ago. A two-owner eBay purchase the car was in such amazing shape that it was almost a shame to take apart. The ethos behind the car was what a traditional hot rod might look like if twas owned by a spoiled high school kid who requested, and received, only the best of the best. Ted loves chrome so its use wasn’t spared throughout the inside or outside of the vehicle, however with traditional styling being the aim it was all done extremely tastefully. One of the most talked about vehicles at the show many are wondering if Cal Automotive Creations can take home another Ridler award to follow up their 2013 build. The Johnson’s Hot Rod Shop built ’32 Ford started as a concept by Glendale Arizona’s Jimmy Smith before Black Design Co. Of Portland Oregon finished the design, which was based on renderings by Eric Brockmeyer. The sleek design called for a lot of significant changes to the Ford: the quarter windows were shortened, the leading edge of the cowl was moved back, and the cowl itself was moved down. The grill shell was also moved down before the hood was shared to original Ford specs, the wheel wells were also re-arched, rotated, and re-shaped so that they looked right behind the custom wheels equip with authentic knock offs and that’s just naming a few of the body modifications. In the rear, VW tail lights look remarkably fitting, and the black paint that drapes the car is miles deep. No SBC can be found here, instead the motor is a 312 Ford Y block built around a hidden Hillborne injection unit system. So we’ve placed our bets internally but who do you think is going to win the 2017 Ridler award?